Find huge deals in Wakayama, Japan that you may book now & pay later! 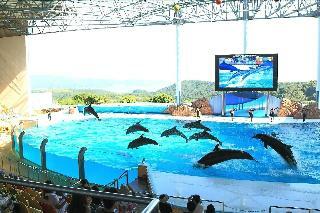 Best prices for in Wakayama, Japan. A dream vacation for you and your family, guaranteed by our travel consultants. For members-only deals, we recommend using the new filter for deals in Wakayama, Japan. Rooms facing the sea, island replete with greenery like a botanical garden, a great view from the observatory on the top of a mountain. You can enjoy fishing and outdoor hot spring baths with sounds of surf. Hotel Sanrakuso is located in the centre of Shirahama Onsen and you can enjoy a good view, taste a nice cuisine, and relax in onsen. Located in the heart of Yoshino Kumamo National Park, Hotel Urashima offers the natural surroundings with the ocean and mountains. 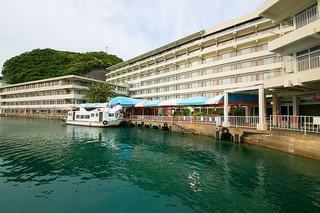 The hotel also boats of several Onsen including the cave onsen with stunning view of the Pacific Ocean. Sukiya-style front door and atrium lobby. After relaxing in an agreeable space of wood and our excellent hot spring, you can fully enjoy fresh seafood. Our seaside hotel looks onto Tanabe Bay having quiet and scenic coves. Big bath is available for 24 hours. This resort hotel has Karaoke club 'Madonna', reserved Karaoke room 'Hibiki' and 'Onkai'. We are expecting you. When going out of the door dazzling white sand extends to a blue sea in the Pacific Ocean. It is good for a stroll in the morning and evening. You can enjou rock bath and open-air bath open for 24 hours. Umedaru Onsen Hotel Seamore is a modern hotel with a variety of rooms - Japanese rooms, Japanese Western rooms, and rooms with private open air bath, good for both groups and individual travellers. Enjoy a fantastic view of sunset from public bath. This is modern and bright resort hotel on the hill. All guest rooms have ocean view. We have big bath, open-air bath with natural hot spring, inside hot water pool and garden pool. You can choose among 5 flavors of dinner with natural ingredients from Nanki Shirahama. Located along Ooto River, side stream of Kumano River, you can see views of mountains and rivers. And you can enjoy natural open-air bath with an abundance of hot spring from bottom of the river in front of our inn. And you can enjoy seasonal flower arrangements in various places in the inn. At this cape of healing,our guests are travelers,we let you experience various '5 tastes of visits';'visits to Inn','Hot water visit','Looking for good taste','seeking hospitality','garden seeking'. When guest's heart visit inside of cape, they will be travelers sail ocean in the ship. 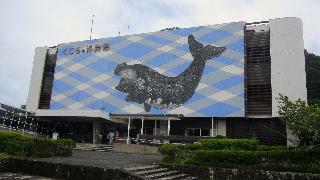 This is origin of 'Ocean ship' that is 'Kaisyu' Hotel name in Japanese . Temple lodging that has been preserved as a traditional temple in Koyasan. We have a lot of pictures and images of Buddha designated a National Treasure. 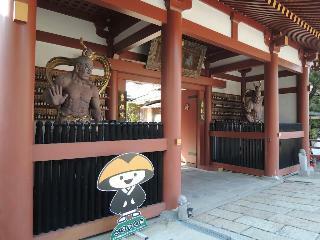 Our temple was once the “Gozasho” for Shirakawa Joko. 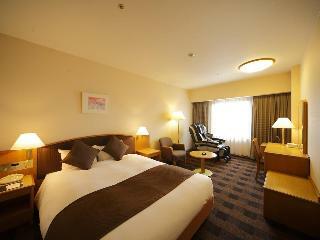 Hotel Granvia Wakayama is the most prestigious in all of southern Kinki. 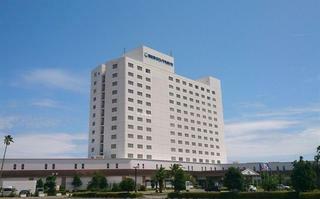 Located in Wakayama, formerly known as the castle town Kishu, the hotel is connected directly to JR Wakayama Station. Good access to transportation and business. Our hotel has been built on the hill overlooking the famous 'Shirahama Onsen', and you can enjoy your sports life like golf, tennis, athletic facilities, putting golf, swimming, ping-pong, etc. And after sports, you can enjoy open-air bath, big bath with view. 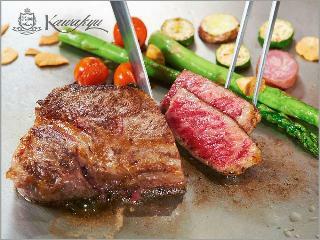 Japanese, French or TEPPAN-YAKI cuisine are the choices available. All rooms suites facing the sea and give you luxurious time. You can enjoy sea food and Japanese Kaiseki for dinner. 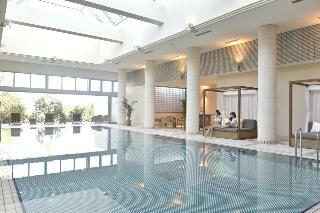 There are hotel facilities such as indoor swimming pool and sauna & jacuzzi. 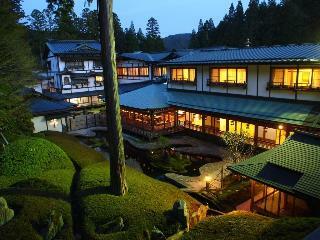 This lovely hotel is set in Wakayama. Pets are not allowed at Hotel Koganoi. July, 2008 this hotel with open-air bath was reopened! 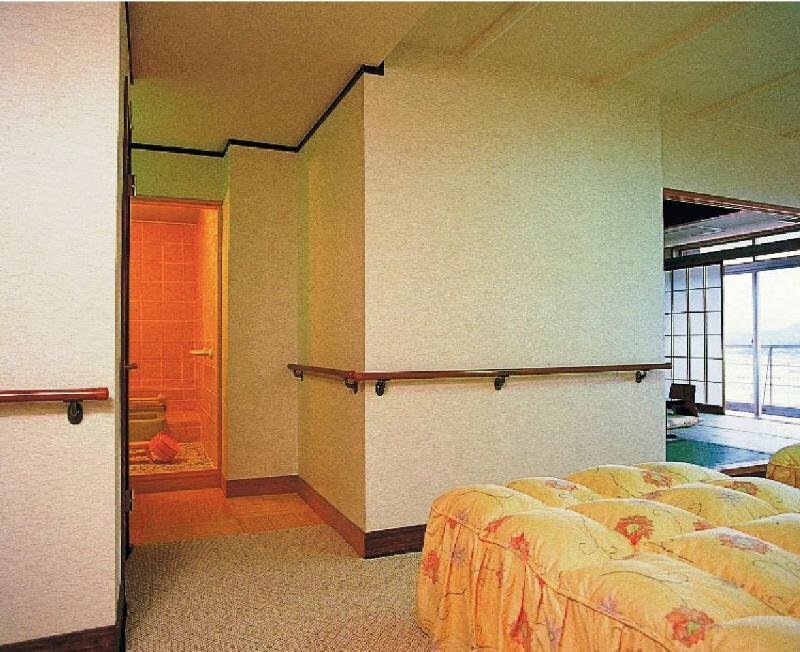 And now we have guest rooms with open-air bath in West Pavilion. You can enjoy 15 baths including hot water pool(you have to put on swimwear) with your family and friends. In training zone, you can do fitness and shape-up for the refresh of your spirit and body. All guest rooms have view of Shirara beach to Pacific Ocean, and you can enjoy the change of blue sea throughout the year. We use hot spring with 1300-years history without adding water and temperature, and circulating. Located in the middle of town of Mt.Koya, good access to sightseeing, shopping and transportation. Stone path, Japanese-style gate and big pine tree receive the guest. Quiet guest rooms surrounded by wide Japanese garden with many plants make you feel the change of four seasons. You can enjoy shojin ryori, vegetarian dish, like rich-tasting sesame tofu made in this inn, cool dish in summer, winter cuisine served in the pot, etc. Modern building,there are open air hot spring at riverside,possible for enjoying fishing.Best suit for swimming,playing in river in summer. 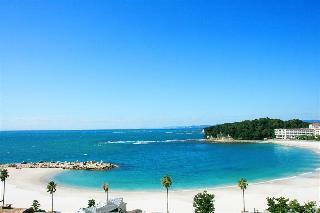 Shiraraso Grand Hotel is Located in the centre of Shirahama Onsen, and all the rooms are facing its famous white-sand beach. 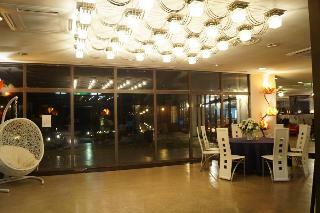 You can also enjoy a night view and a good hotel service with good seafood cuisine. 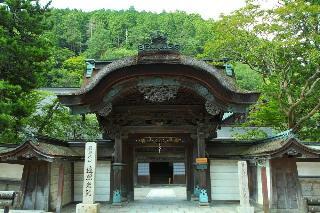 Close to Shirahama Beach and Kumano Kodo Pilgrimage Trails, a UNESCO World Heritage Site. 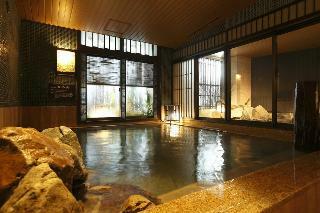 9 kinds of private hot spring baths with sauna, and delicious dishes are offered. 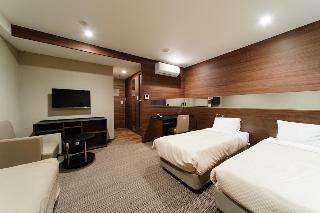 Most guest rooms are Japanese style rooms with or without private bath for 2 to 6 people. 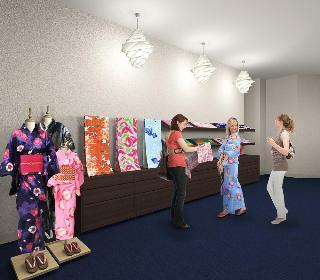 Standard amenities like towels, toothbrush, tooth paste, Japanese nightwear, soap are available. TV, hair dryer, refrigerator are also equipped in the rooms. 10-15 min ride by taxi from JR Shirahama station or Shirahama Airport. Located a 10 min walk from Kushimoto Stn. A free shuttle bus from the station in available. 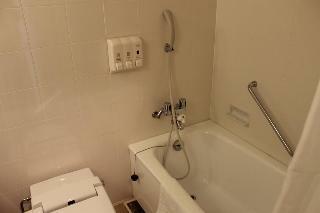 All rooms are equipped with TV, bath with toilet, fridge, dryer, electric pot, toothbrush, razor, towel, shampoo, body soap. We also provide an outdoor swimming pool for guests. About 20 min by airport bus from Nanki-Shirahama Airport to Shirahama Stn. Hashigui rocks, Muryo Temple (National Important Cultural Property), Kushimoto Oukyo Rosetsu Museum, and Kumano Kodou are all nearby. Hotel building has a unique shape with a round arch stepping over the creek. Features carefully chosen facilities and furnichures for the guest rooms, restaurants, and banquet halls, designed to fill up the space with elegant and warm atmosphere. Enjoy warm hospitality for maximum relaxation. 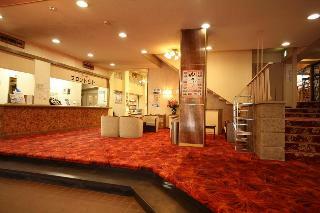 The hotel is located in the city center Wakayama . 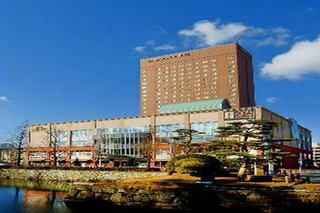 High-rise tower hotel of 20 floors that can overlooking the Wakayama Castle, Wakayama city . Spacious space guaranteed , clean, comfortable duvet cover style . We offer a dedicated amenities for children and female. Feel free to inquiry about it. We look forward to welcoming everyone . Shin-Wakanoura, which belongs to the Setonaikai National Park, is a scenic sightseeing spot once chosen the best of the shore beauty in Japan. 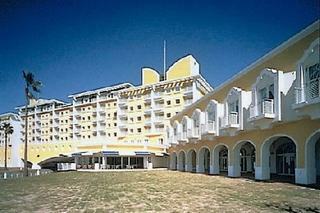 Hotel is established along the shore offering magnificent Wakanoura bay from all guest rooms. From the open-air bath of the Manpa hot spring, by looking out the night view of the Wakayama Marina city, Porto Europe, and the fishing lights will draw out the sentiment of the travelers. It opened in Aug, 2003. All the 20 rooms have its own open-air bath with natural hot spring water and enjoy fantastic view of sunset from each Japanese room. This hotel is surrounded by blue sea and very large Japanese garden with flowers of every season. From open-air bath, you can see islands in the bay, sunset to mountains of Kumano, beautiful nature of Nanki. And you can enjoy various dishes of whale. 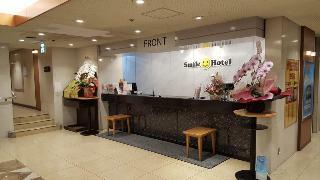 This comfortable hotel is located in Wakayama.